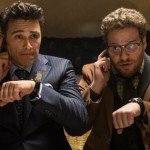 Last autumn’s hack of Sony Pictures achieved several things – promoting their comedy film The Interview, creating a minor political storm that increased tensions with North Korea, and helping to cement the increasingly solid relationship between the White House, Hollywood and the intelligence services. Recently, wikileaks published the entire fruits of the hack in a searchable database, and while I’m not in the habit of praising that organisation, this caught my eye and is worthy of brief applause. I’m all in favour of open source intelligence, and the Sony hack material was otherwise quite difficult to access. This is particularly interesting because Sony Pictures is a studio with quite profound CIA (and DOD) connections. 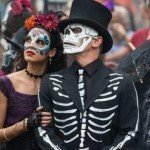 For the last decade they have owned and controlled the James Bond franchise, they were behind Captain Phillips, The Social Network and Zero Dark Thirty. White House Down, Battle: Los Angeles, Salt, The International – a significant number of the major CIA/DOD-sponsored movies of recent years, along with others that embraced deep political themes, have come from Sony. In particular the clique that includes executives Michael Lynton and Amy Pascal, producer Michael De Luca and meta-producer Scott Rudin seems to have long-running and deep-running relationships with the military and intelligence agencies. This would not be surprising, after all their parent company Sony is a contractor for the military industrial complex, so is heavily invested in those institutions continuing to maintain their dominance. The willingness of their senior creative staff to do both black and white propaganda for the Pentagon and Langley just comes with the territory. Lynton, the CEO and co-chair of Sony is quite a straightforward man to nail down. He was born in Germany but moved to Britain and served in the British military and British intelligence for several years. He then lived in the US and the Netherlands, before settling in the States. He completed his education, served for a few years as an investment banker and then, despite having no obvious prior experience of the entertainment industry, joined Disney in 1987. Within five years he was president of Disney’s Hollywood Pictures, and after working in publishing and then as president of Time Warner International he joined Sony Pictures in 2004. These days he also sits on the board of the RAND corporation and is a member of the Council on Foreign Relations. This is all on his wikipedia page, and is the biography of a textbook intelligence asset. Who this ‘Joe W’ is, I do not know. It is odd that another ex-CIA man moving in entertainment circles is Joe Weisberg, the writer of the TV show The Americans, but he was only at the Agency for around four years so it cannot be him. Still, this exchange shows that Lynton moves in CIA circles and possibly that he has been doing so this whole time. Amy Pascal has recently left Sony, to start up her own production company with money from them. She has said that she was fired but her contract was due for renewal, and it is possible that in the furore over the male-female pay gap exposed by the hack that negotiations were not going well. She appears to have been given a golden handshake, so possibly this is just internal politics at work. What is clear is that she has presided over several major state-sponsored (or probable state-sponsored) productions including Skyfall, The Social Network and Zero Dark Thirty, and was slated to oversee the adaptation of Glenn Greenwald’s version of the story of ‘ex’ CIA agent Edward Snowden. Following the 2014 Israeli military assault on Gaza, Pascal signed a statement condemning Hamas. The emails from the Sony hack only beg the question of what her relationship to the Agency really is. A search of all emails mentioning the CIA sent to Amy Pascal shows that she was monitoring news about the Agency quite regularly. 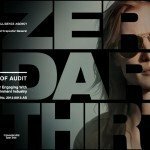 Stories on a variety of topics – not just related to Sony products like ZD30 and not just related to the entertainment industry – were delivered to her inbox from what appears to be news feeds. Searches both to and from Pascal show that she was quite obsessed with the show Homeland – a CIA-sponsored TV show if ever there was one. However, it seems that most of this clique, not just Pascal, were into Homeland and frequently used it for comparison to other shows in email discussions. Scott Rudin is a man who has produced, according to IMDB, over 100 major films and TV shows. He is known for being able to add a little something something to virtually any production, and in truth is probably a very talented and creative movie producer. His list of films (at least from those I have seen) are mostly pretty good, with only a handful of turkeys in there. He has helped produce films that have made, in total, billions of dollars. When Scott Rudin does produce CIA or DOD-assisted movies they are generally quite outrageous, like Captain Phillips and Rules of Engagement. He also works closely with the CIA’s favourite script writer Aaron Sorkin, and the two of them put together The Social Network, a film which has every reason to be CIA-sponsored. The emails also show a few things about Rudin, and not just that he thinks CFR member Angelina Jolie is a spoiled, talentless brat. One of the most interesting sets of emails concerns Sony winning the rights to The Director, the novel written by David Ignatius that follows on from the hugely successful Body of Lies. Scott Rudin is pegged to produce The Director – it seems this was a desired pet project of his that Sony bought for him – and the emails note how they want Paul Greengrass to direct. Greengrass made 2 of the original Bourne trilogy (CIA) and Captain Phillips and Flight 93 (DOD) so he is well-versed in state-sponsored action thrillers. The only other director who was seriously considered was Doug Liman and not just with The Director but more generally the Sony Pictures crew are fixated on coming up with a response to Universal’s Bourne franchise. The Director is not listed among the 100+ movies that Sony has in production right now though whether it is the same as this untitled Chris Terrio-writing, Paul Greengrass-directing, George Clooney-starring project is not clear. The involvement of Rich Klein not just in consulting on the film from a legal/political point of view but also promoting it via the Washington Post points to deep state involvement in The Interview, perhaps parallel to the CIA’s involvement in the movie. Klein is the head of the media department for McLarty Associates, an inside-the-beltway bunch of lawyers that used to be one half of Kissinger’s firm. These days they are populated almost entirely by ex-government officials like Klein, and their CEO is associated with everyone from the Cato institute to the Council on Foreign Relations, and the company is a Bosphorous member of the American-Turkish Council. Since the film’s release the operation to send tens of thousands of copies into North Korea via hot air balloon has begun in earnest. 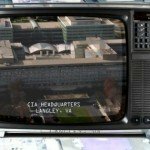 This ‘activist project’ so closely resembles the CIA’s Cold War propaganda efforts that to deny their involvement would be laughable. 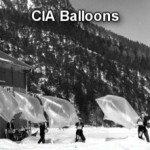 The whole ‘balloons into North Korea’ angle was mentioned in emails from the Sony hack – emails involving Bruce Bennett of the RAND corporation and Michael Lynton. Sony’s work for the CIA (and DOD) is far from over. 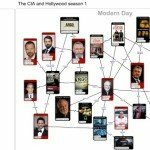 Snowden is not the only ‘former’ CIA agent to be immortalised in a high-budget biopic – also coming our way is Agent Storm, the story of CIA-MI6-Al Qaeda triple agent Morten Storm, which promises to be a thoroughly accurate retelling of his years inside the world’s highest-profile Islamist gangs. They are also working on a Steve Jobs biopic which like The Social Network will systematically avoid any mention of what the CIA and NSA are up to in Silicon Valley. Add into the mix the sequel to Salt and another remake of 1984 (a film the CIA have already made once) and the fact that Scott Rudin is producing most of these films with Paul Greengrass directing, and a strong picture emerges. One other future film worthy of mention is the totally unexpected remake of Chitty Chitty Bang Bang by Bond producer Barbara Broccoli and Michael G Wilson, who are also doing the Snowden flick. 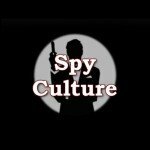 The connection here is that the original film was written by British intelligence agents Roald Dahl and Ian Fleming.